OSHKOSH, Wis. — On Sunday, less than 24 hours after the jersey he played in read "Milwaukee Bucks," Christian Wood posted 45 points and 20 rebounds for the Bucks' G-league affiliate, the Wisconsin Herd. 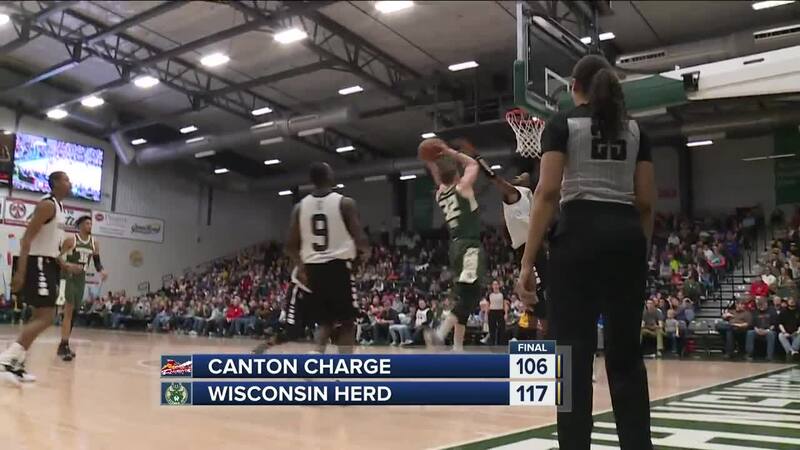 Wood lifted the 9-25 Herd to a 117-106 come-from-behind victory at Menominee Nation Arena. Canton led 61-56 at the half. Michael Qualls had 20 points and eight rebounds in the win. Off the bench, Shevon Thompson put up 17 points, eight rebounds and three blocks, while A.J. Hess, a recent trade acquisition from Canton, added 11 points.